Assessment with Stick Mark Boom! 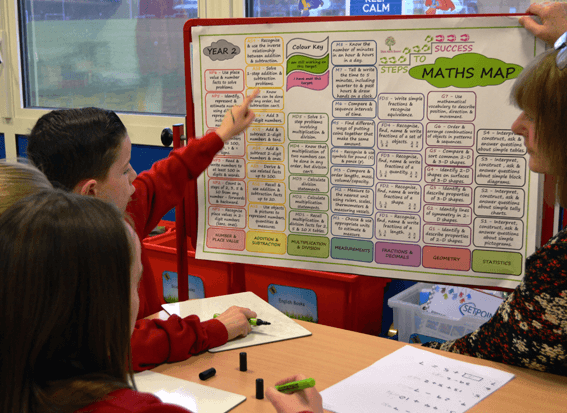 SMB is a powerful assessment for learning tool (AfL) which enables pupils to be actively engaged in their own target setting and focused on their next steps. Information gained from SMB assessment is easily fed back into planning to close gaps and accelerate learning. With SMB, assessment is ongoing and continuous, ensuring staff, parents and the individual pupil are aware of the current achievement of that child at any given point. Subject Maps and Feedback Friday trackers make attainment and progress clearly ascertainable and easily translated into any school assessment system. Tracking • SMB work book scrutiny forms assist tracking of individual pupils as well as vulnerable groups. Subject Map evaluations are easily transferable into school based tracking systems. Coming soon – SMB SIMS tracking.